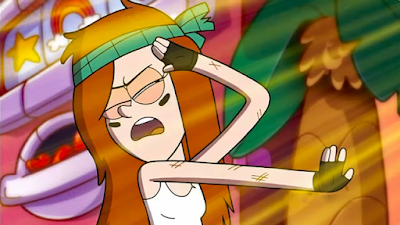 Buckle up, and get ready for the next episode of Gravity Falls, and part 2 of Weirdmageddon! 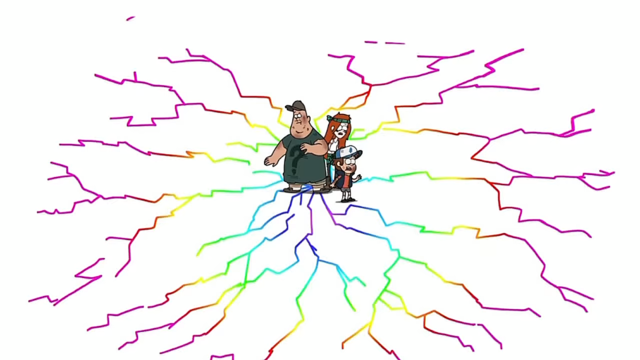 Mabel has been trapped inside of a prison bubble, and Dipper, Soos, and Wendy are the only ones who can save her! You can watch it Monday, November 23, at 8 PM on Disney XD! They also have some mini series videos. The first mini-series is 'Pacolypse Preppin', starring Old Man McGucket. Notice for the video above, the one calling is Bill Cipher himself. He asks "for Stan's eyeball". This is another hint that Stan will likely not survive. In the video above, it has a few codes. You can see Bill Cipher during a "technical difficulties" scene about 39 seconds into the video. UPDATE: There are some videos that I forgot to put in. Now I put them in. In the one above, there is many Bill references. Bill is calling again. Now I will look at some images from the trailers and previews and discuss them. Here we see a view of Mabel's prison bubble. We will finally see what is inside of it. Many people believe that the prison bubble will be a trap for Dipper, Wendy, and Soos to fall into. Why? 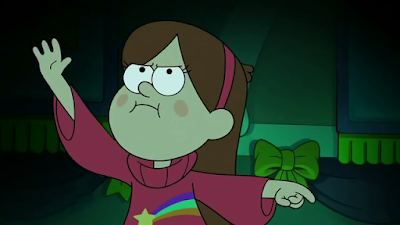 Because in one of the trailers, we hear Bill say, "Mabel's prison bubble is the most diabolical trap I've ever created!" Hear that? Trap. 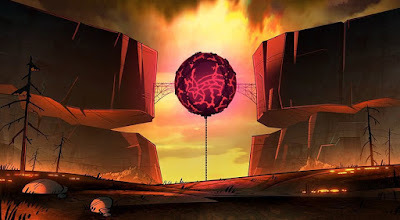 While Mabel's friends try to save her, Bill will likely plan on conquering the rest of the world. 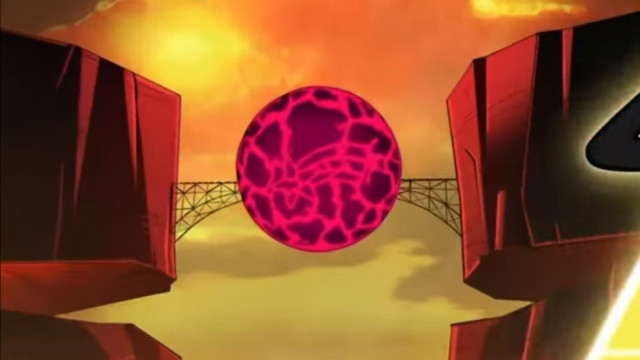 Here, we see Mabel inside of the prison bubble. She appears to briefly lift her friends up into the air using her mind. Why? Well, inside the prison bubble, she will likely have all the powers that Bill has in the Mindscape. So that means she can bend reality any way she wants. But in case you noticed, she is wearing the shooting-star sweater she weared only in the first episode of season 1. That is her symbol on the Bill Cipher wheel. 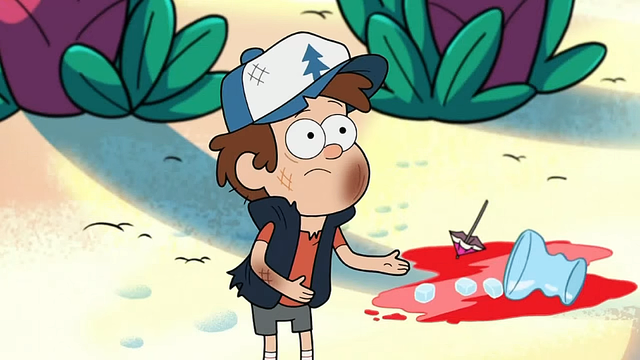 This image is more proof that Dipper and his friends are falling into a trap. In the previous two episodes, she was seen wearing a different sweater, How could her sweater suddenly change? This may be someone else taking the form of Mabel. Above we see Dipper in the strange world of Mabel's bubble. It seems to be very colorful. Notice that he seems to be injured and bruised by something. 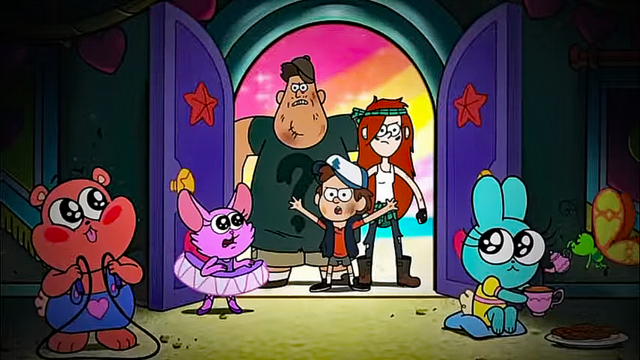 that Mabel must be having a good time in there and may not want to leave. 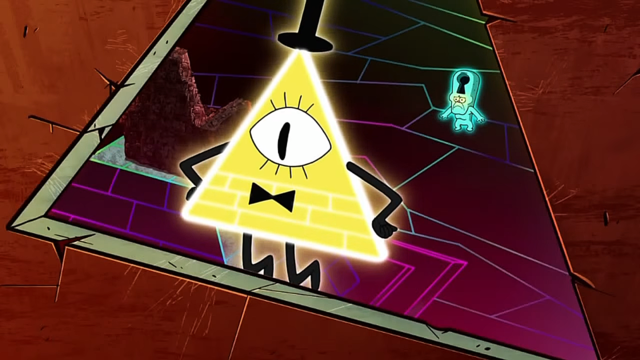 Above we see Bill Cipher discussing something with the rest of his nightmare realm. In the trailers he says, "Mabel's prison bubble is the most diabolical trap I've ever created!" This strange creature is probably from Bill's dimension. 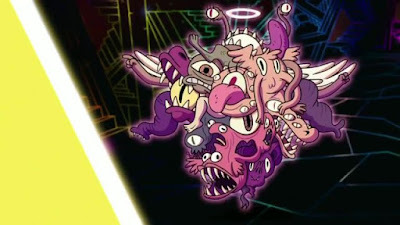 The Gravity Falls Wiki calls it "the monster with 87 faces". 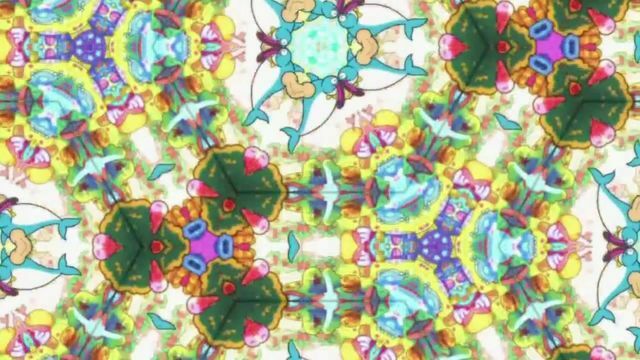 In the kaleidoscope view above, we see the dolphin-creature Aoshima, last seen in "The Inconveniencing" as what Mabel hallucinates after eating too much Smile Dip. 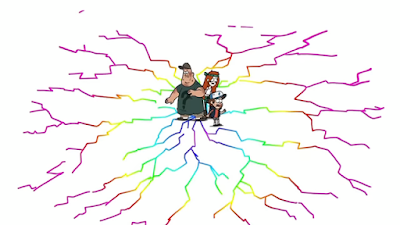 This image is when Dipper, Wendy, and Soos first enter the bubble. The ground cracks and they enter the strange place inside. 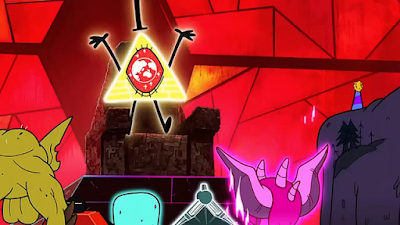 Above we see Bill discussing his plans to bring chaos worldwide, not just in Gravity Falls. Above we see Wendy blinded by all the colorfulness inside of Mabel's bubble. Here we see the animals and girly creatures when they enter the bubble. 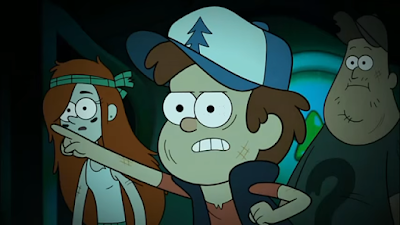 This is Dipper pointing at something, probably when they find Mabel. 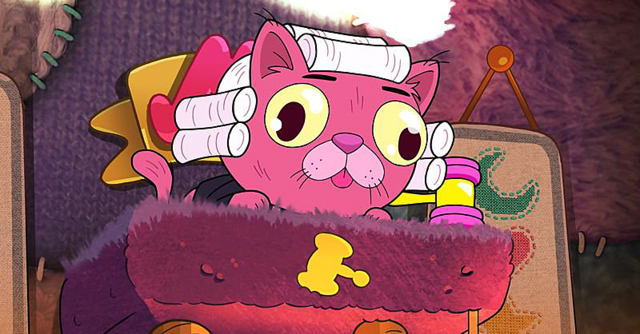 Above we see a cartoon judge kitty, who will be voiced by guest-star Jon Stewart. Watch it Monday, November 23, at 8 PM on Disney XD!